Time spent for sorting of CD4+ T cell subsets with and without pre-enrichment. 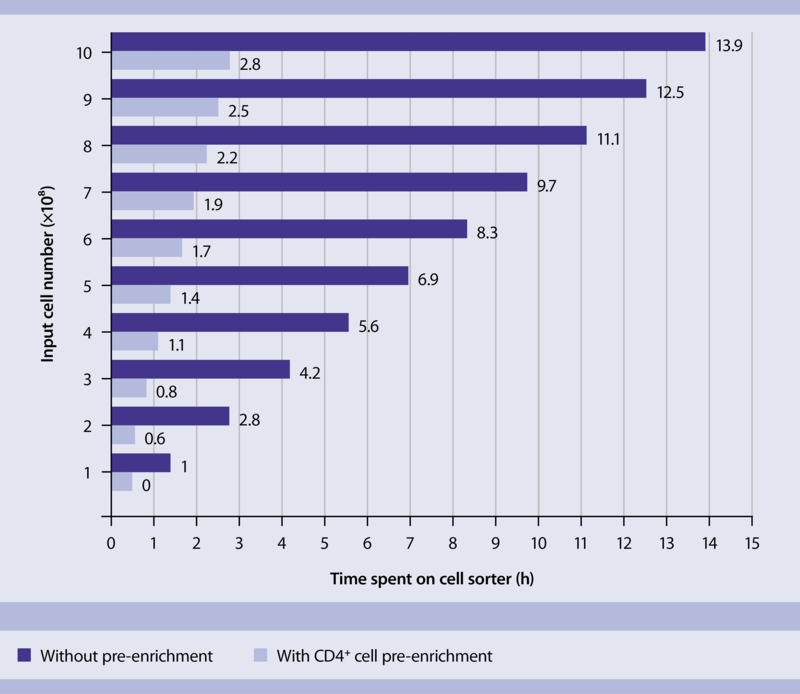 Figure 1: Time spent for sorting of CD4+ T cell subsets with and without pre-enrichment. The bar graph demonstrates an example of total time spent on a cell sorter when sorting mouse CD4+ cell subpopulations directly (light blue bar) or pre-enriched by MACS Technology (dark blue bar) at a sorting speed of 20,000 events/s. Depending on cell numbers, time savings can be up to five-fold, from 14 h to less than 3 h when sorting 1×10⁹ cells. Learn more about MACS Technology. Automated cell pre-enrichment streamlines flow sorting and analysis. Using the autoMACS® Pro Separator you can experience automated cell pre-enrichment with minimal hands-on time. Find more applications using the autoMACS® Pro Separator. Watch the video to see how automated cell separation on the autoMACS works. 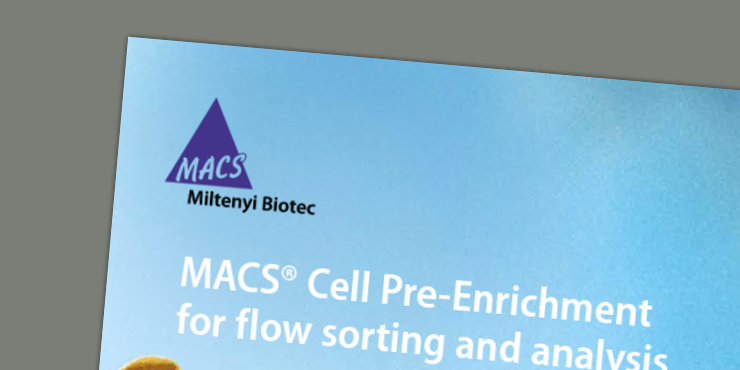 Download our new cell pre-enrichment brochure and find out how to optimize flow sorting and analysis.